Jeff Blackard, 59, is a multimillionaire real estate developer who makes frequent Christian missionary trips to Africa and South America. In December 2015 he embarked on a different kind of mission on behalf of his fellow taxpayers in Collin County, where he owns two parcels, when he sued Collin County officials and a state judge. That class action unsuccessfully sought an injunction to stop the county from paying the $254,000 bill special prosecutors Kent Schaffer, Nichole DeBorde and Brian Wise, all Houston attorneys, submitted to Collin County, at a rate of $300 per hour, for their work on Paxton’s case. The $254,000 bill was for their work from April to December 2015. Blackard’s claims were declared moot because he could not make his case before the Collin County Commissioners Court approved and disbursed the payment to the special prosecutors. The dismissing judge also found that Blackard’s claims were not ripe because the prosecutors had not submitted their next invoice. Blackard appealed to the Fifth Court of Appeals in Dallas, which found he lacked standing to challenge the oral agreement a Collin County judge made with Schaffer and Wise in April 2015 to pay them $300 per hour to prosecute Paxton, because Blackard was not a party to the underlying case. But Blackard’s claims ripened to bloom when news media reported on Jan. 12 that Tarrant County District Judge George Gallagher, who presides over Paxton’s criminal case and OK’d the prosecutors’ first bill, had approved a second bill for $205,000, which the attorneys submitted for their pretrial work from December 2015 to December 2016. Blackard hustled to the courthouse and filed a second class action on Jan. 20, again seeking to stop Collin County commissioners from approving payment of the bill. Collin County Auditor Jeff May has already signed off on the payment request and he will submit it to the Collin County Commissioners Court for approval no later than Jan. 30, Blackard says in the new class action. Blackard claims the prosecutors “secretly submitted” the second bill to Gallagher on Jan. 4, and he signed “secret orders” approving it the same day. Blackard says it’s against Collin County’s rules to pay special prosecutors more than court-appointed defense attorneys, and those fees are much less than $300 per hour. 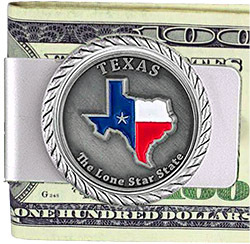 “The fee schedule adopted by Collin County establishes a flat fee for work by an appointed attorney handling any of the following: first-degree felony plea ($1,000); second-degree felony plea ($750); third-degree and state jail felony plea ($500); trial work ($1,000 pretrial preparation, plus $500 per half day of trial); and appellate work ($3,500 per appeal from trial and $2,000 for any other appeal). Not only that, Blackard says, Collin County’s rules permit payments to appointed attorneys only after cases are disposed. “Any payment of such requests for compensation prior to disposition of the case constitutes an illegal expenditure of taxpayer funds,” the lawsuit states. He also seeks a declaration the payments violate Collin County’s local rules. He is represented by Austin Champion with the Dallas firm Griffith Bates Champion & Harper. Named as defendants are Schaffer, Wise, DeBorde, Collin County Judge Keith Self, four Collin County commissioners and county Auditor Jeff May. A county judge in Texas is chief executive of the county, not a judicial officer. Schaffer declined comment and referred questions to his attorney David Feldman, who did not respond to emailed questions by press time. DeBorde referred questions to Schaffer. A Collin County grand jury convened by Schaffer and Wise indicted Paxton in July 2015 on two first-degree felony counts of securities fraud and a third-degree felony count of failing to register with the Texas State Securities Board. DeBorde was appointed as a third special prosecutor for the case in September 2015. Paxton is accused of fraudulently selling more than $100,000 in Servergy stock to two investors in July 2011 without disclosing that he would be paid commissions, and that he himself had not invested in the McKinney-based data-security firm, though he touted it as a great company. Paxton allegedly made the sales during his tenure as a Texas state representative and Servergy paid him a commission of 100,000 shares. Paxton has claimed in dismissal motions that the criminal charges are unconstitutionally vague and that the grand jury that indicted him was improperly paneled because a judge solicited volunteers for it. Paxton has approached his job as attorney general with gusto as if the criminal charges dogging him don’t exist. He sued President Barack Obama’s administration 17 times and scored some major victories. He stopped Obama’s executive actions to give deportation relief to some undocumented immigrants and to force public schools to accommodate transgender students. He also obtained a stay of Environmental Protection Agency rules that require coal-fired power plants to install pollution-control equipment. Paxton is also fighting a federal securities fraud lawsuit from the Securities and Exchange Commission, with claims that mirror his criminal charges.